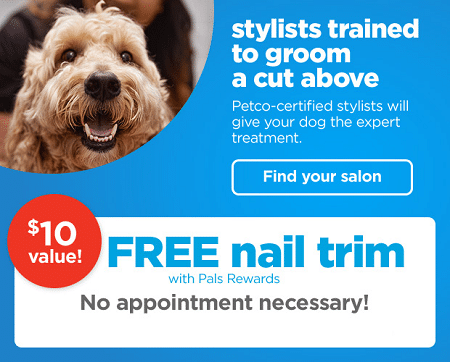 Calling all Petco Pals members (if you are not, you can sign up here) head over to print (or show on your mobile device) this coupon valid for a FREE Nail Trim for Dogs! Coupon is valid until 12/31 and in-store only. Must present coupon and Pals Rewards card to receive this offer. Single-use coupon; limit one per household.